HomeBlog Australia Student Visa Requirements Help! Australia Student Visa Requirements Help! Australia is among the most important destinations on earth for people seeking to study in a foreign english speaking country with a stable and trustworthy education system. It is a great place to study. It has been emerged as a hot destination for the students from all other countries of the world. If you plan to study in Australia, you need to make an application for the Student visa (subclass 500). 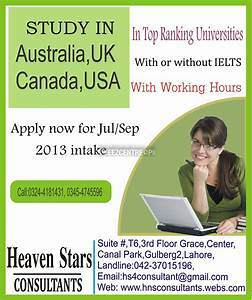 Australia is among the very best countries where students wish to go for additional education. It is the third most popular international student destination in the world after the United Kingdom and the United States and has seven of the top 100 universities in the world. Every visa comprises certain privileges granted for the individuals for a particular period of time whenever they’re entering to a nation. You are going to need assistance obtaining a visa and the right papers to go to school and a great educational institution will have the ability to help you with that. Thus, it’s highly vital for you to have a visa depending on your particular requirements and requirements. Student Visas are broken up into visa subclasses dependent on the principal plan of study in Australia. To be able to study in Australia, you’ll need to acquire an Australian student visa.